Residential Eating Disorder Treatment Center: Treatment for binge eating, bulimia, and anorexia. Helping teens overcome binge eating, bulimia, and anorexia. How do you know when to seek residential treatment for your teens eating disorder? Eating disorders happen when damaging eating behaviors become persistent. They can impact physical and mental health, and they make functioning for daily activities difficult. Up to 30 million people in the United States suffer from an eating disorder, many of whom are adolescents. While many women have eating disorders, men can also develop the condition, which often emerges during the teenage years. Many people fail to take eating disorders seriously, assuming their son or daughter is just “going through a phase” or overcommitted to weight loss. But eating disorders have the highest mortality rate of any mental illness. They can also cause heart problems, teeth and bone issues, digestive problems, and prevent the body from getting the nutrition it needs. There is nothing that directly causes an eating disorder. A person’s genetics, their behaviors, and their environment can all play a role in their relationship with food and with their own body image. However, experiencing other mental health challenges such as depression, anxiety, and substance use can also increase a person’s risk for an eating disorder. 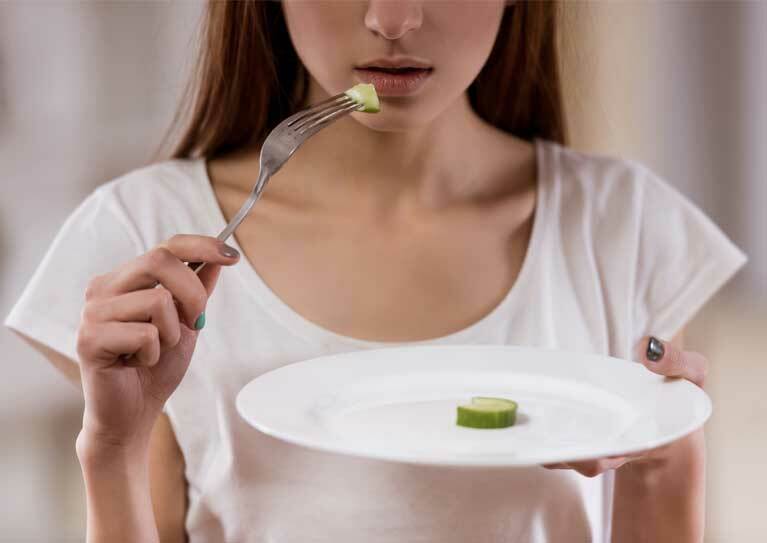 There are multiple categories of eating disorders, but the most commonly diagnosed include Anorexia nervosa, Bulimia nervosa, and Binge-eating disorder. If you’re not sure whether your teenager might suffer from an eating disorder, there are certain behavioral clues that indicate they might need professional help. Are they skipping meals or leaving meals to use the bathroom? Are they highly focused on eating healthy and losing weight? Do they shame themselves when they overeat, or do they eat in secret? Are they looking at websites that promote dangerous eating or purging behaviors? Any of these behaviors may indicate there is a deeper problem and that you should seek binge eating disorder treatment. Psychotherapy, or talk therapy, can prove effective for many young people with eating disorders. Psychoeducation can also help a young person learn about getting adequate nutrition into their body, stopping excessive exercising, and cutting off purging behaviors. However, because eating disorders can often be life-threatening, residential or inpatient treatment may become necessary. If a person is in extremely poor physical health, hospitalization may also be required. If your son or daughter is in a life-threatening situation, get help immediately. If you aren’t sure whether their eating behaviors indicate bigger problems, have a conversation with your doctor. If your child denies having an eating disorder, you can frame your concern as an opportunity for them to have a conversation with a doctor or nutritionist about their relationship with food. Above all, don’t isolate from your support network. There are mental health professionals, community support groups, and many resources available to help someone you love. What can you do to help your son or daughter develop a healthy relationship with food today?